I was born in Tokamachi in 1960, raised in Nagaoka city since I was five. My turning point was when I did a home stay in Iowa State in the US in the summer. For a high school girl, the experience there was huge and became obsessed with intercultural experiences. I had started pursuing more of adventures. I travel around the globe as a tour attendant after graduating from a university. I absolutely had an abundant dream life for 10 years. In 1995, I moved to Malaysia and there started another chapter of my global life. Living there for 15 years had given me different values and perspectives. You might be surprised to find yourself of becoming more aware of your identity by encountering different cultures. This is why I continue working in the tour industry. In 2010, with full of great insight of Japan and all my 15 years of experience as a tour guide, I decided to join the inbound tour industry in Japan. February of 2017, we have finally achieved our goal of founding our office in Nagaoka City in Niigata. Many of you might wonder what made me took 6 years to begin. I had to start from scratch to establish my business, which turned our to be one of the most difficult time in my life. But it was also the precious time for challenging myself and building another valuable relationship. What’s more, I needed to consider enough to take deep thoughts on why I want to start this business. I’d like to take this opportunity to show all of my gratitude to my family, friends and all the people who have supported me. I cannot thank you enough for your tremendous trusts and support. I will do my best to become the bridge between Nagaoka and the world. From 2010, I worked between Malaysia and Japan to host tours for foreigners visiting Japan called “ まかんあんぎん(makan angin)” which means “ journey” in Malay. I observed the tourists in what elements and activities they feel attractive while guiding tours. In 2016, I started to organize tours all over Japan as a guide interpreter. 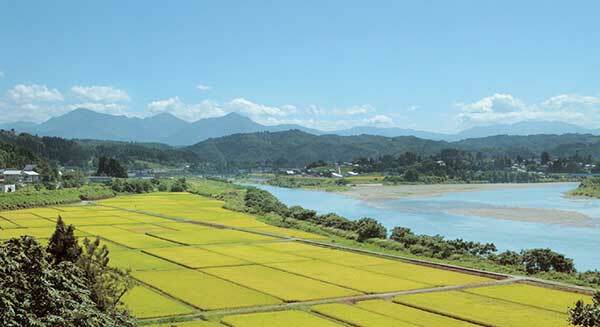 This enables me to perceive more aspects of each local area in Japan. Now I’m seeking how we could differentiate this inbound tour between Niigata and Nagaoka. there are always the people who are active and eager to serve their community to grow. And many of those places, the communities and local government are also trying to find and support those people to work with. Many of you may know that Nagaoka and surrounding towns and cities are one of the deepest/heaviest snow areas in the world. We are facing problems such as depopulation and declining birth rate which are very common in the regional area. Still, we have people who are giving themselves to revitalization. 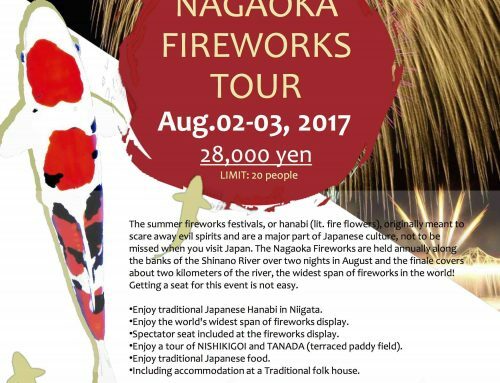 It is essential for Nagaoka city to have any types of organizations to support those people to grow inbound tour industry. It is also mandatory for the organization to collaborate with the local residents who have the strong connection to the area economically and historically. The individual has a limit but together we can make the field bigger. I believe inbound tourism gives advantages to the people who want to help their community. In the near future, there will be more and more of foreign tourists in every small unknown town and city in Japan as the result of rapid globalization. We cannot miss this opportunity. This is the commitment of us, 8TRIPS to help residents in Nagaoka area to realize how wonderful it is to work for their communities through the inbound tourism. If you like our website, share it!